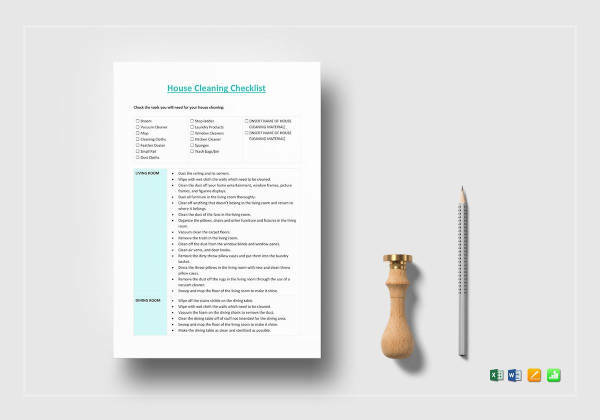 A checklist is something people need most especially when they are supposed to complete a task which has a lot of things to remember and consider. 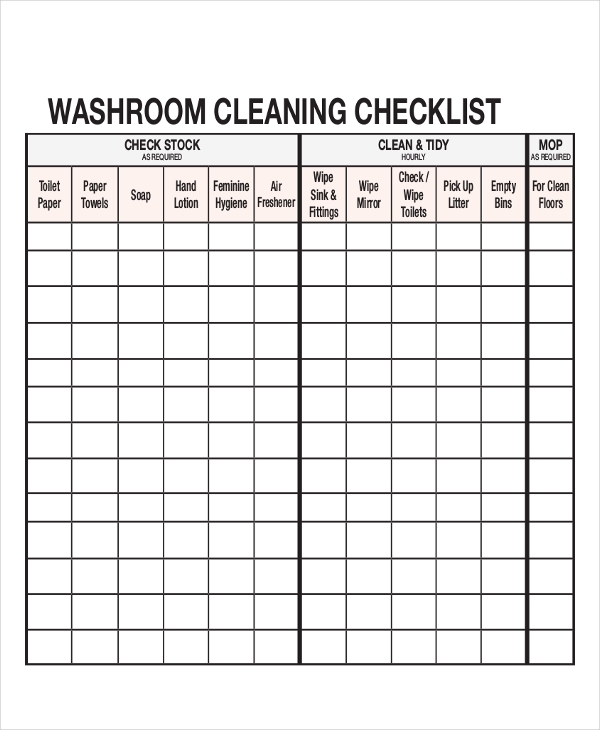 Because our memory is very limited, not to mention we tend to forget things a lot, there are indeed many uses a checklist can offer. 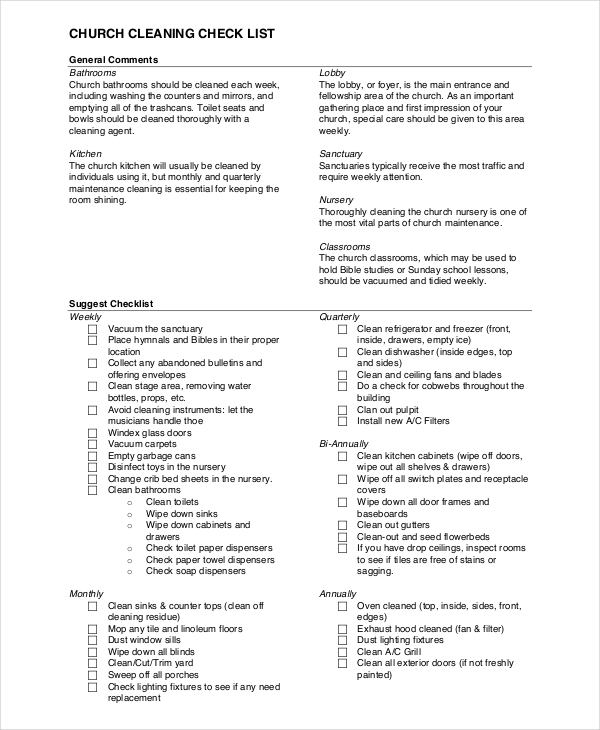 Cleaning is just one of the activities where the checklist templates are really useful. Most of the time, especially when we’re cleaning a large area, we forget to clean some places or tire ourselves out before even cleaning half of the area. 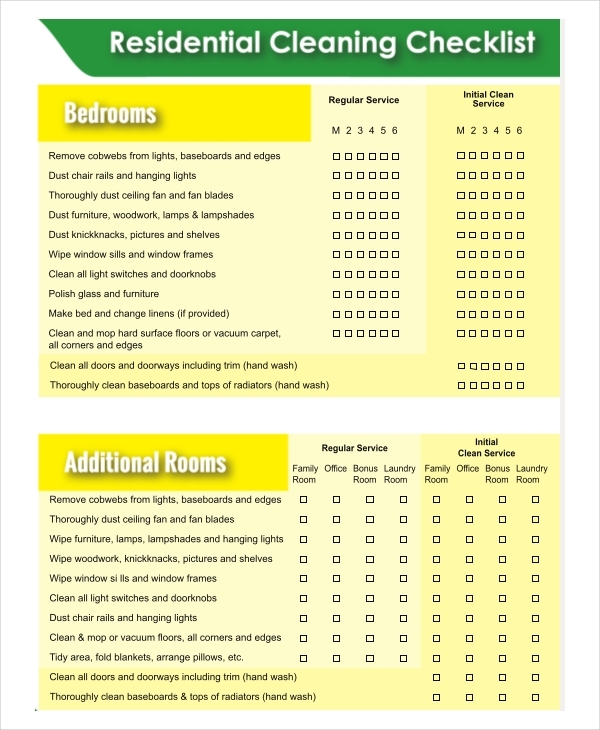 So read more for some tips on how to use maintenance checklists to your advantage. 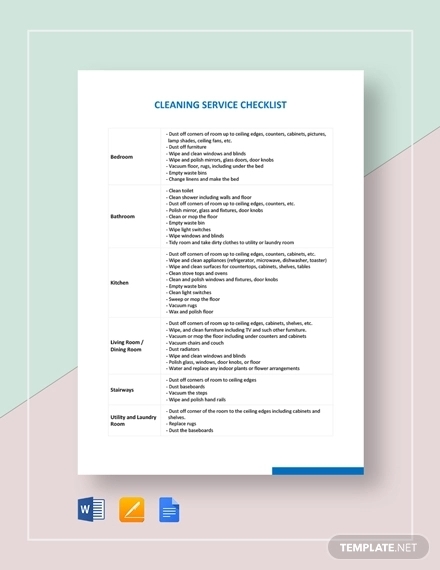 What Is a Cleaning Checklist? 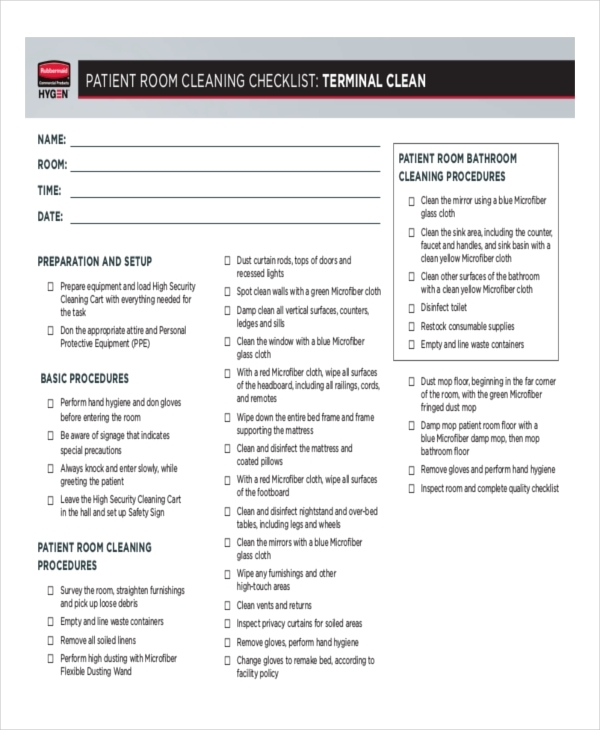 The name itself suggests that a cleaning checklist is a checklist typically used when cleaning, or indicating cleaning schedules. 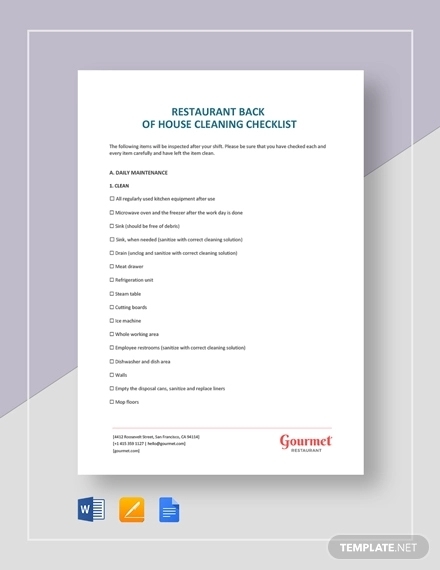 Cleaning checklists often contain a detailed list of items or places needed to be cleaned. 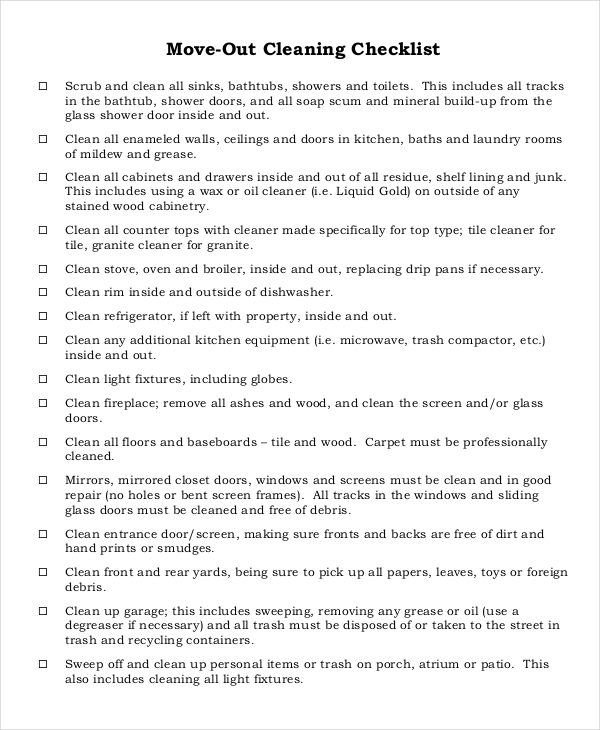 At times, it may contain instructions on how to clean the place. yearly (or seasonal like renovating or moving the furniture). 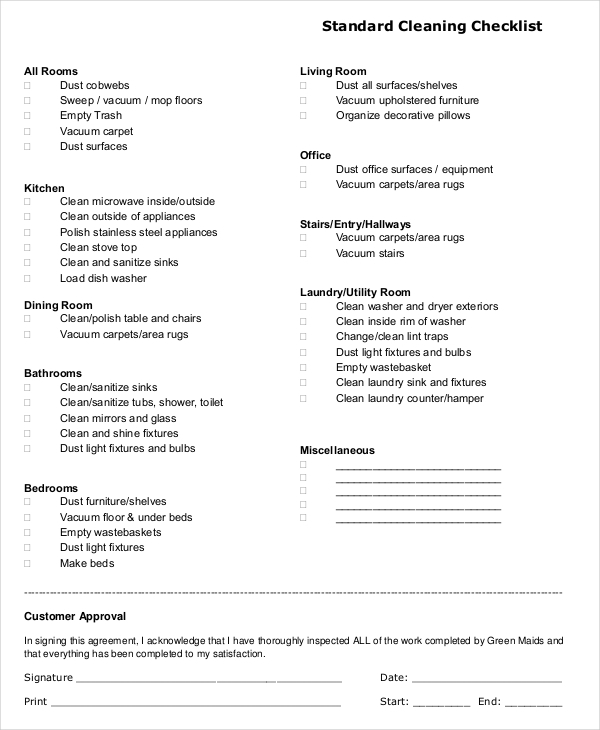 A cleaning checklist helps you clean efficiently, and helps make the process less tiring. 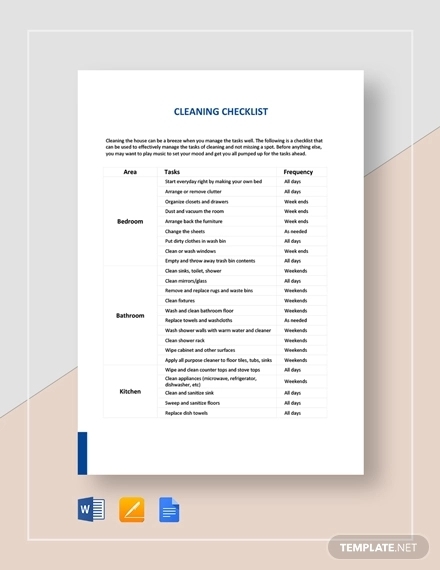 Having a checklist in pdf for cleaning, you can simply make a list of things you need to do, check or tick the things you already did, and move on to those that you haven’t done yet. You may choose to do easier tasks at first, and leave the hard ones for last, or the other way around. 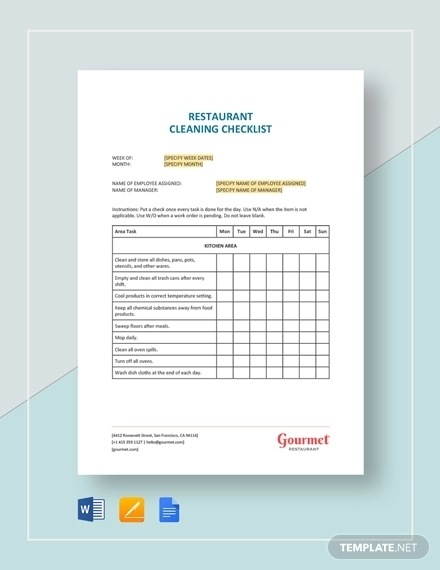 Because quality checklists break the whole cleaning process into easier parts, you’ll find yourself enjoying the process instead. Goals, most importantly. 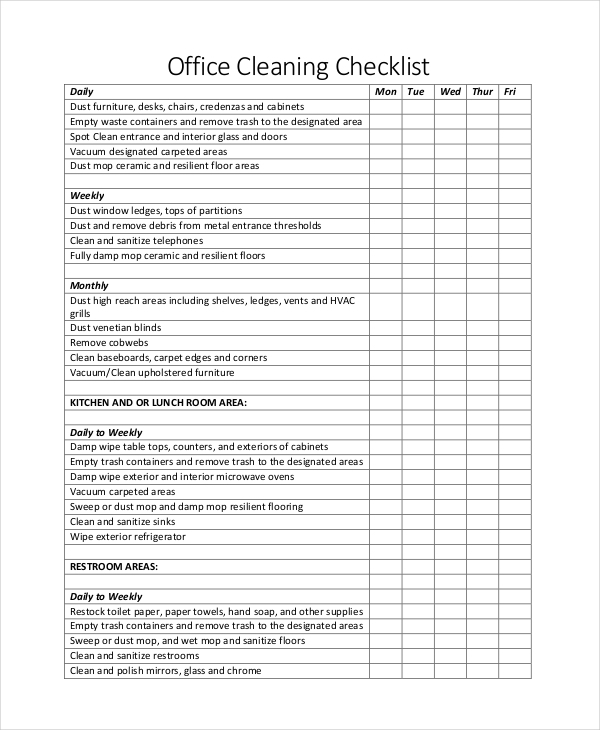 List every single smart goal you want to achieve in having a cleaning checklist. 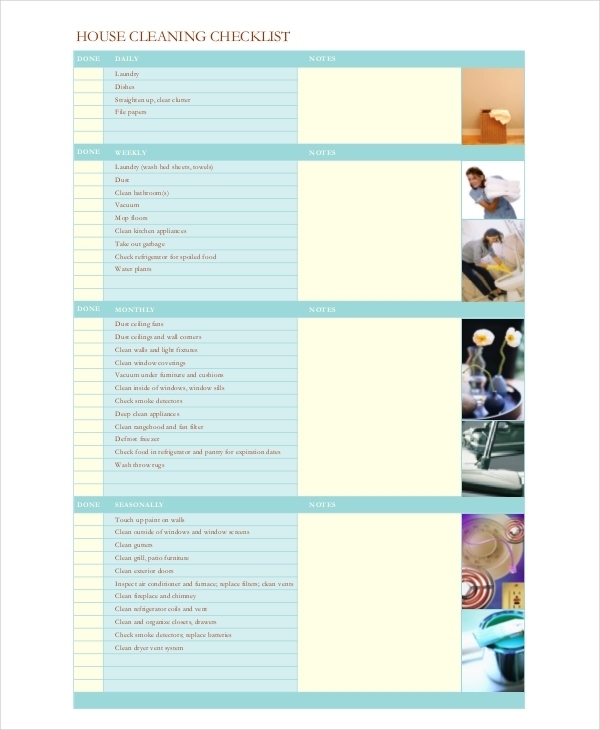 Make a breakdown of tasks. 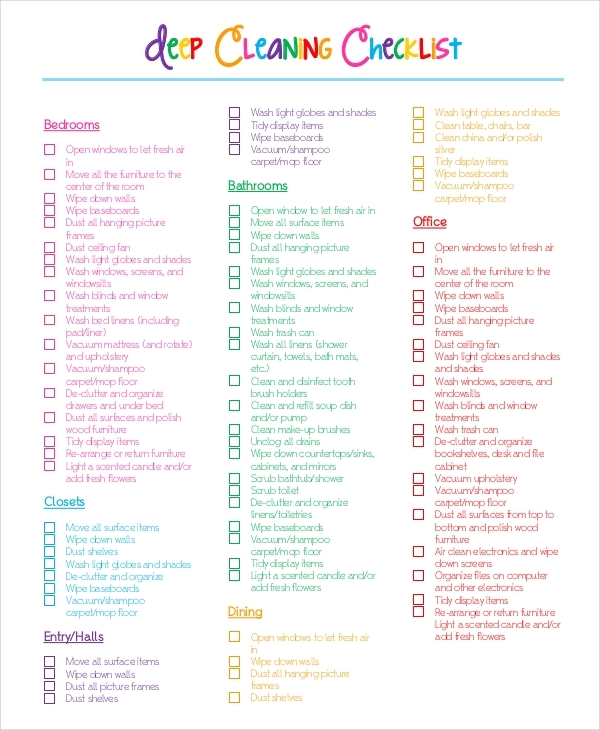 From doing the dishes, to painting your walls, break the tasks down. You may even write instructions for you to follow. Organize your tasks. 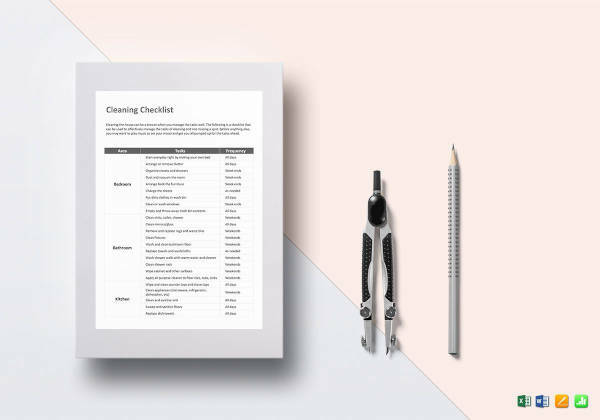 Categorize your tasks into one group. 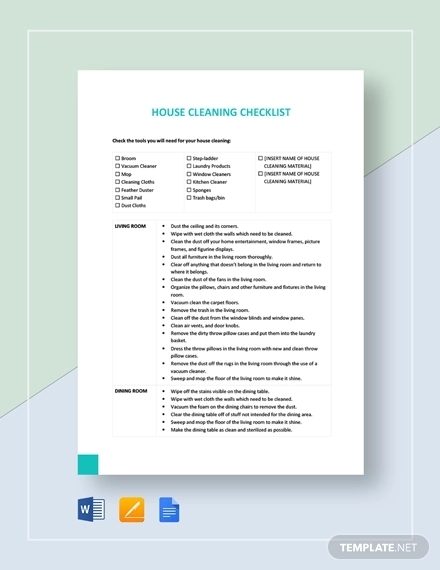 Decide on which grouping of tasks you find most effective for you, and start cleaning. Create a timeline in doing tasks. Decide on how long you do each tasks, so you don’t tire yourself out in spending too much time on one task. List the materials and equipment you’ll need. 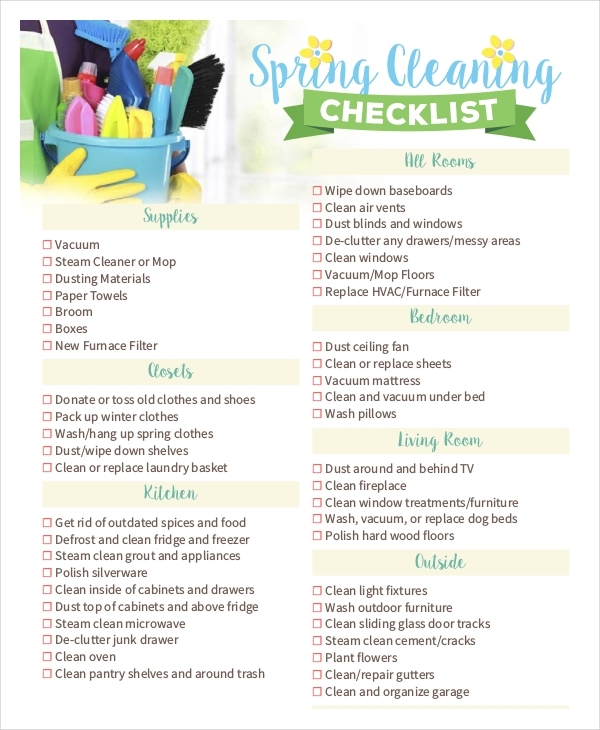 Check the list in order to prepare what you’ll need beforehand. Think of other things to consider. 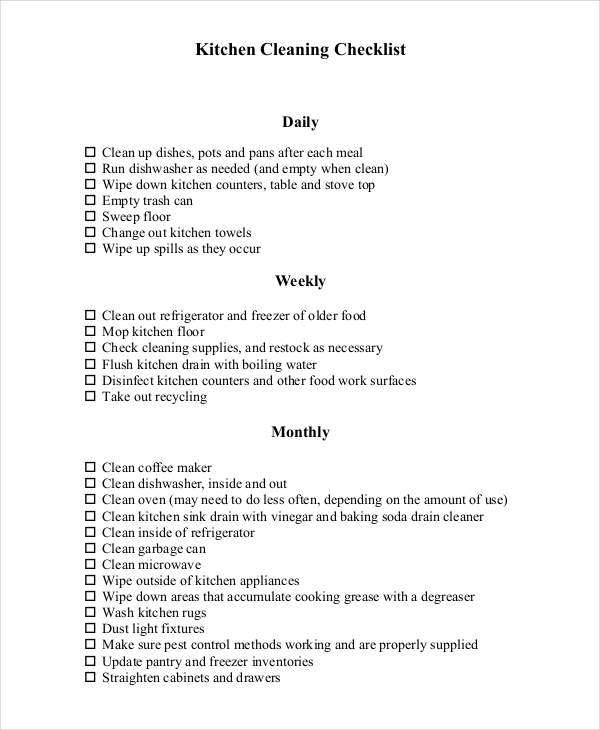 If you have company, you’ll want to divide the tasks among yourselves and indicate who cleans which place. 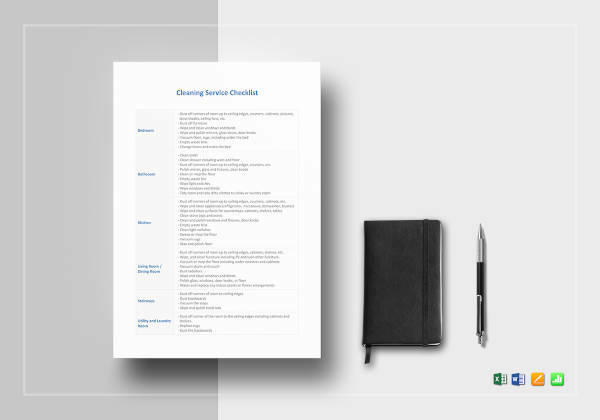 Improve your checklist. If you find some things to improve, do it as you go. 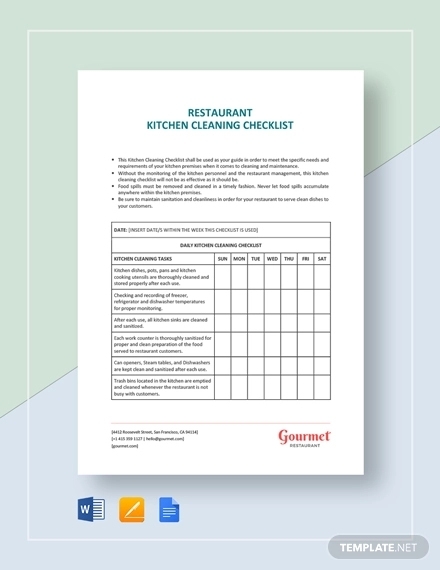 You can’t make a perfect printable checklist on one sitting, so make sure you observe any area for improvement.